Practically speaking, estates with more than two or three beneficiaries will take longer to probate. Why? It will take longer to notify every beneficiary about what is going on during the probate administration. And, if documents need to be signed by every beneficiary, then it never fails. There will always be one or two who need to be prodded along to return their signed documents to the probate attorney on time. Often times this is simply due to logistics and not due to the lack of effort by the probate attorney and personal representative. Even with modern technology, multiple beneficiaries who are spread across the U.S. will be more difficult to deal with, and if a beneficiary is located outside of the U.S., then the time difference and expensive overnight mail service will take its toll on the estate administration. This is listed as reason #1 because this is the most common reason I encounter that will hold up the probate process. Thanks to the Internal Revenue Service, estates that are required to file a federal estate tax return, known as IRS Form 706, will undoubtedly take longer to administer than estates that do not have to file such a return. Why? 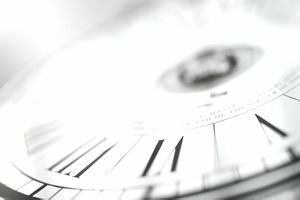 Because on average the IRS does not even begin to process an estate's Form 706 until at least three to four months after the return has been filed. From there it can then take another three to four months for an actual person to look at the return. This means that the probate administration will remain in limbo for at least six to eight months while the IRS does what it needs to do. Then, if there is a problem with the return and the IRS requests additional information or documentation, another two or three months will fly by, which means that 10 months to a year will have passed since the return was filed. On the other hand, even if the estate is not required to file Form 706 concerning federal estate taxes, the estate may be required to file a state estate tax or inheritance tax return, which will also delay the probate process. Estates that own property that is difficult to value, such as rare collectibles, racehorses, oil or mineral rights, or patents, or property that is highly illiquid, will take longer to probate due to the unique nature of these types of assets. An asset that is difficult to value may very well dovetail right into reason #2 - estates that have to file an estate tax return - because the personal representative and the IRS or state taxing authority will inevitably get into a battle over the true value of the unique asset for estate tax purposes. An asset that is highly illiquid may cause the estate to remain open until the asset can be sold. Otherwise, one or more creditors or beneficiaries of the estate may be forced to take over ownership of an undesirable asset. Nothing can drag out the probate process like a good old-fashioned family feud. When beneficiaries do not get along or will not speak to each other, the personal representative will be forced to go to court to get permission from the probate judge to do just about anything. Often in these situations, one or more of the beneficiaries will hire their own attorneys, who will then proceed to question everything and bring the process to a grinding halt. And if the will is contested, then it can take years for the validity of the will to be sorted out. Choosing someone to serve as a personal representative who is not good with money, disorganized, very busy with their job or family, or irresponsible will cause the probate process to drag on and on. This is because this type of person will not be able to handle all of the responsibilities and duties that go along with serving as a personal representative. Aside from reason #1 above, this is the most common reason I encounter that will cause the probate process to take so long. Unfortunately, all of the reasons listed above will be beyond the control of the probate attorney and personal representative and in these situations very little if anything can be done to speed things along.